Entrants submitted designs to three categories, namely architecture, landscape and entertainment. They were challenged to create innovative and stunning ways to reinvent familiar sites, preferably through the use of computer-aided design (CAD) or building information modeling (BIM) software. The scholarship offers two tiers of winnings, the first of which offers $3,000 USD to winners. The grand prize is the Richard Diehl Award, offering $7,000 in addition to first tier winnings. All winnings are applicable to an education in design. The 2015 winner, Benno Schmitz, is from the Beuth University of Applied Sciences Berlin and received his scholarship for his stunning design of the Museum of Contemporary Arts in Bonn. The concept showcases the power of design in repurposing a landscape through incorporation of its surroundings. The site chosen was heavily affected by coal and stone mining, leaving industrial ruins and environmental damage. 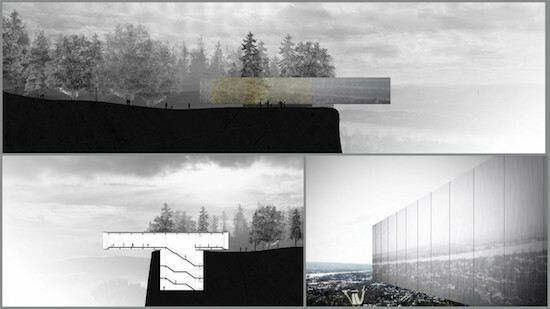 Schmitz’s design for the Museum interacts flawlessly with the sheer rock cliff left behind. “The whole topography has been changed by humans,” says Schmitz. “The museum brings new culture to this place where I grew up and uses humankind’s impact on the environment to its advantage. The contest is a testimony to the next generation of designers and their creative potential. It aims to encourage and to facilitate careers in design-oriented fields such as engineering, architecture, environmental design and urban planning. 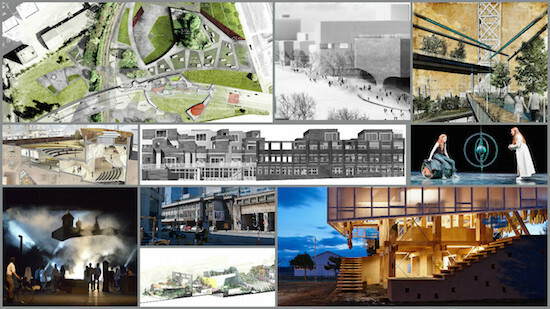 In addition to Schmitz’s design, 15 other projects from around the world were recognized as first tier winners by the judges. Designs range from this modernist museum to urban green spaces and interactive cafés. Winners also received a Vectorworks software license for their school computer labs, as well as training for both students and staff. Vectorworks, Inc., part of the Nemetschek Group, is the developer of Vectorworks CAD and BIM cross-platform software for architecture, landscape and entertainment industries. The company was founded by Richard Diehl, the grand prize’s namesake, to profess a commitment to quality design. Vectorworks software offers a wide portfolio of tools for designers and architects, including BIM, CAD and 3D rendering engines. For more information, visit the Vectorworks website.